Masses of pink flowers on umbels atop ferny green foliage. 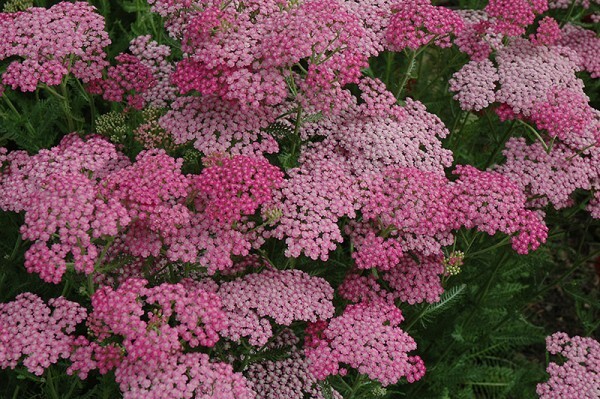 This is slightly shorter yarrow reaching a mature height of 50cm. Best in full sun and drought tolerant once established. Great for bees and butterflies. Soil conditions: sandy or dry, chalky, poor quality soil. Water needs: Moist conditions with dry atmospheric conditions. Interest and use: Border, cutting bed, dried arrangements, borders, medicinal.